I have to admit that I have a bit of a problem… I am becoming obsessed with Igam Ogam on the Cula4 Player and so are my class!!! 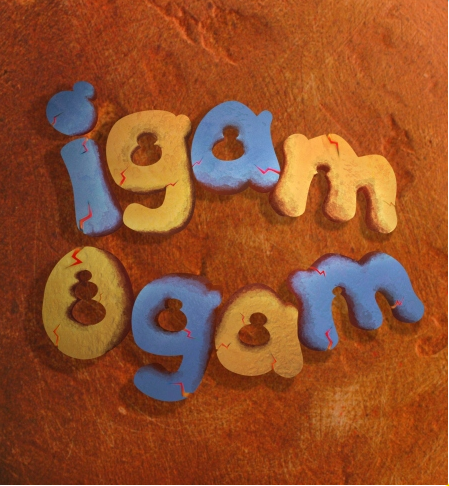 Igam Ogam is a 10 minute cartoon series designed for toddlers. That is just about the perfect amount of time for a cartoon in a 2nd language. It is also a perfect duration for showing in class as part of your Gaeilge lesson. 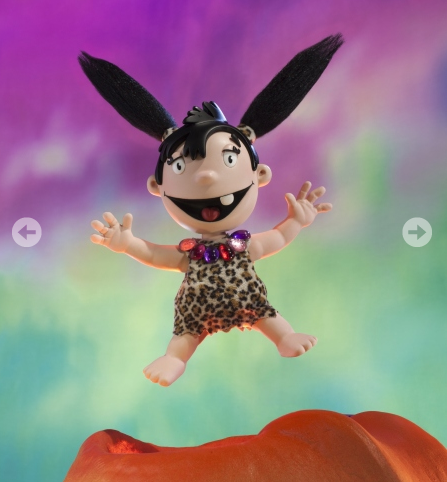 Igam Ogam is an adorable and fun loving Stone Age cave girl. Igam Ogam is always looking for adventure with her pet dinosaur, “Madra” and her monkey friend, “Roly”. Each episode has a specific focus with a repetitive narrative line running through it. Last week poor Igam Ogam was “ró-te” because of a heatwave. After a few viewings my class were joining in and laughing knowledgeably. The next episode saw “Madra” begging Igam Ogam to play with her before breakfast. She was not at all ready to play as she had not eaten her breakfast or washed her teeth. “Ní anois” was the phrase that my class learned. I really would encourage Infant teachers to make use of the fantastic Cúla 4 player. It is not blocked by our internet security settings. Igam Ogam is a Telegael/Calon co-production for S4C, Channel Five, TG4 and ZDF Enterprises. It is great to be able to support TG4 in our classrooms! Here is a link to the Cúla 4 player. Scroll down on the right and locate Igam Ogam. Bain triall as!! Excellent! I’m forwarding this to my Infant teacher right now- thank you so much for that! Thank you for your kind comments regarding Igam Ogam. I am the director of the series on TG4 and it’s great to get positive feedback. You’ll be glad to know that we have a 2nd series coming early in 2014. It was fantastic to hear from you. I apologies for taking so long to reply. i just got wrapped up with Christmas!My class couldn’t believe it when I read out your comment. I am not sure if the screams were more to do with the email or discovering that a new series will be available this year! They were a little disappointed not to have had a Christmas episode to watch the week of the school holidays. Seriously, I just can’t convey how fantastic, no amazing it is to have children so buzzed up about the Irish language. You should be very proud! Would you mind taking a call from me?